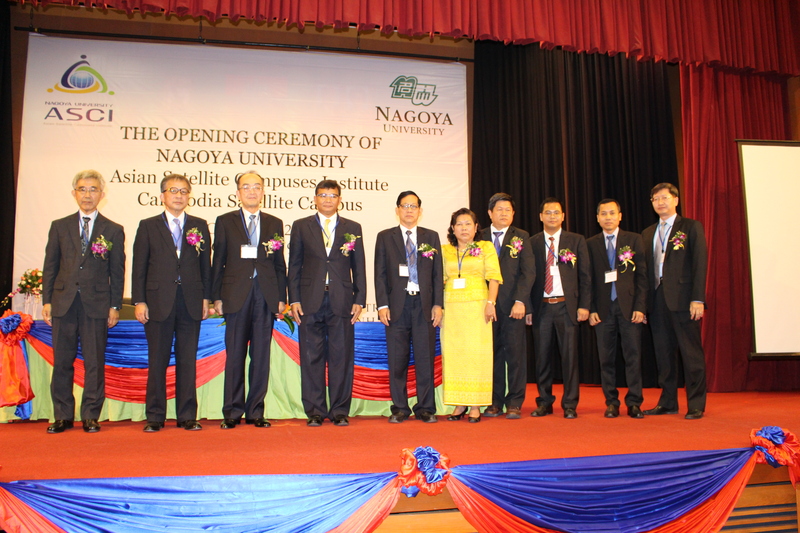 Nagoya University has always been at the forefront of cultivating Human Resources from various Asian countries in areas such as Law, Medicine, and International Development, and is held in high regard both at home and abroad. Everyone,such as the Legal Human Resources cultivated by the Center for Asian Legal Exchange(CALE)’s ”Japanese Legal Education throught the Japanese Language” program or Administrators cultivated by the Young Leaders' Program(YLP)’s Healthcare Administration course, forms part of Nagoya University’s Human and Intellectual Networks as future national leaders,and with these graduates playing a central role we have established 14 alumni associations overseas and are working to strengthen our networks. Through such efforts to expand our engagement in education and research an environment of diversity, we aim to become a Hub University that grows together with a Developing Asia. Under the cooperation of governments and partner universities based on our history of contributing to the cultivating of human resources of various Asian countries and the networks established throught activities,the Asian Satellite Campus Institute has commenced the ”Education Program for the Development of Core National Human Resources of Asian Nations” and is currently implementing high quality Ph.D programs on both the main campus and the Asian Satellite Campuses. Our next objective is to establish Satellite Campuses in 8 countries (Curent:Cambodia, Mongolia, Vietnam, Planned:Indonesia, Laos, Uzbekistan, Myanmar etc) by 2016, and cultivate 50 or more Core National Human Resources across 5 areas(Law,Medicine,Bio-Agriculture,International Development,Environmental Studies)within 10 years. ・Promote Research・Education・Employment that utilizes Overseas Alumni Associations. Expansion・Establishment of Agreements within ASEAN regions through utilizing the Bangkok Office etc. 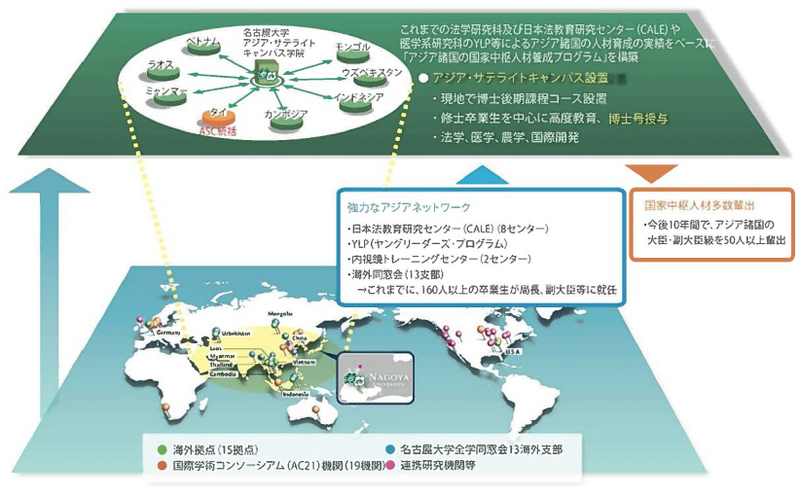 ・Pursue a comprehensive International Strategy utilizing Network of Overseas Offices. ・Strong cooperation with Bangkok Hospital, which has the best equipment within East Asia and is networked with surrounding countries.